He barely needed 24 minutes to score 24 points, grab 17 rebounds and dish four helpers. 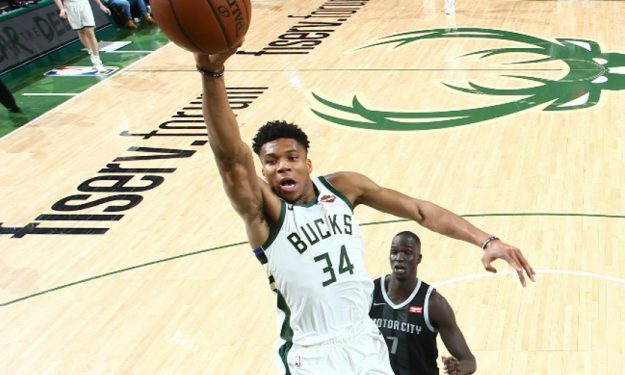 Giannis Antetokounmpo was only 5/12 from the charity stripe and 1/5 beyond the arc, but it didn’t really matter for the Milwaukee Bucks in their blowout victory against the Detroit Pistons. His team now leads the best-of-seven series, 1-0. Hard fouls from the opponents came often on Sunday and were highlighted by Andre Drummond who shoved him and was ejected. “As a team we talked about it, to try to keep our composure whenever the opposing team tries to foul us hard or tries to hit us or play dirty, Obviously, I’m not going to look to the referees for protection. I’ve just got to play smart and try to avoid the situations” the Greek Freak pointed out.